Interest rate of 12.99% p.a. on purchases and 19.99% p.a. on cash advances. Collect 1 flybuys point per $2 you spend at Coles Supermarkets on your Coles Low Rate Mastercard. If, like more than 30% of Australians, you do most of your shopping at Coles, you’d be mad not to give some serious consideration to the Coles Low Rate Mastercard. With a low minimum income requirement of $25,000 and credit limits starting at a manageable $2,000, this card is ideal as either a starter credit card or a permanent way to maximise your flybuys points. And if you do hit a bump in the road with your repayments, it has one of Australia’s lowest credit card purchase interest rates. And right now, there’s a special $100 gift waiting for new credit card applicants. Read on to discover more. Many credit cards have purchase interest rates of over 20% p.a. This is the interest rate you will pay on your previous month’s credit card purchases, and all future credit card purchases, if you are unable to pay the full balance of your account on or before the monthly payment due date. So it’s a pleasant surprise to find a credit card with a purchase interest rate as low as 12.99%. It may not be as low as mortgage or even personal loan interest rates, but it can mean the difference between being able to get on top of your repayments or falling into long-term debt. Interest-bearing credit card debt, incurred when you miss or fall short of full monthly repayments, is best avoided. But if you think you may find yourself in temporary financial difficulties, it’s far better to have a Coles Low Rate Mastercard than a card which will add 20% p.a. or more to your debt, compounded daily. The card’s low rate does not extend to the cash advance rate, which is a credit-card-normal 19.99% p.a. This is the interest rate applicable to any cash you withdraw against your credit limit, at an ATM or a supermarket checkout for example, and it is applied from the date you take the cash advance until the date you repay it in full. Some credit cards let you clear your account 14 days after the end of the monthly billing cycle without incurring interest. Other cards, more generously, allow 25 days to elapse before payment is due, and this card is one of them. That is, if you made a purchase on the first day of your billing cycle you would not need to pay for it until 55 days later, and provided you paid on time you would not incur any interest. Adding to the card’s appeal in the interest rate department is this balance transfer offer. Transfer a balance from your existing card and pay no interest on the transferred amount for six months. Take note, though, that the interest rate you’ll pay if you haven’t repaid the balance after six months is the high 19.99% p.a. cash advance rate. You’ll also forfeit the monthly interest-free days on purchases while you have an uncleared balance, meaning that interest would be applied to purchases from each transaction date. Now that the technicalities of the interest rates are out of the way, it’s time to focus on something really positive. Like most regular Coles shoppers, you probably know that you can already earn one flybuys point per dollar on your supermarket spending, no matter how you pay at the checkout – with cash or with any card. So why not bump up that points earning rate by 50%, just by paying with a Coles Low Rate Mastercard? You’ll get one additional flybuys point for every two dollars you spend at Coles using your card: that’s an extra 0.5 points dollar, bringing your total to a healthy 1.5 points per dollar. You can earn flybuys points at lots of retailers, not just Coles. Flybuys is Australia’s most popular loyalty program and because membership is free you’re probably already collecting flybuys – without having to change your spending habits – at retailers like Kmart, Target, Coles Express, Liquorland and First Choice Liquor, as well as at other major organisations like Medibank, eBay, AGL, Budget and Adidas. Since you can already collect flybuys at so many places when you shop, it makes sense to add to them by collecting not just 1.0, but 1.5 points per dollar, at Coles. You can earn as many points as you like, because the rate at which you can earn them is not capped. One of the most popular ways to redeem your flybuys points is by converting them into flybuys dollars. You can convert 2,000 flybuys points into 10 flybuys dollars, which you can use to get a $10 discount off your bill next time you shop at a Coles supermarket, Liquorland, First Choice Liquor or Target. Alternatively, convert your flybuys points into Virgin Australia Velocity Frequent Flyer Points, or a gift card to spend at Coles, Kmart, Target and selected lifestyle partners. Or redeem them for a range of merchandise, including home and garden, fashion, technology, travel, entertainment and lifestyle products. You’ll be rolling in flybuys points almost immediately when you successfully apply for this card. Within three weeks of your first purchase (anywhere) with the card, and provided you make that first purchase within 30 days of card approval, you’ll receive a $100 credit to your flybuys account. The $100 credit can be used once only against a single Coles supermarket shop amounting to at least $100.05. That’s a great boost, since at 1.5 points per dollar it would normally require $13,333 of spending at flybuys retailers in order to earn $100 worth of flybuys. The offer cannot be redeemed at Coles Online or Coles Express. If it wasn’t so much of a mouthful, the card’s name really ought to be ‘Coles Low Rate Low Fee Mastercard’, since you’ll pay only $58 a year in account-keeping fees. That’s a very reasonable fee for a rewards card because you are not paying for any other benefits, like ‘free’ travel insurance or extended warranty insurance, that you may not be able to use. You can have up to four supplementary cardholders on your account – family members perhaps, who can help you to earn flybuys – for an extra fee of $10 per card. Along with all the other card benefits, you’ll also receive complimentary merchandise protection insurance, covering items bought with the card against loss, theft or accidental damage for 90 days. It’s an all-in-one Mastercard and flybuys card, meaning there’s one less card to carry in your wallet. You get a free Coles Mobile Wallet, letting you pay, collect flybuys points and keep track of your transactions with your phone. The card has the Mastercard contactless facility, for speedy, PIN-free purchases under $100. The Coles Shield fraud management system is always alert for suspicious transactions on your account. The Mastercard Zero Liability Guarantee gives you protection if your card is lost or stolen, providing you have taken normal precautions and immediately report any loss or theft. 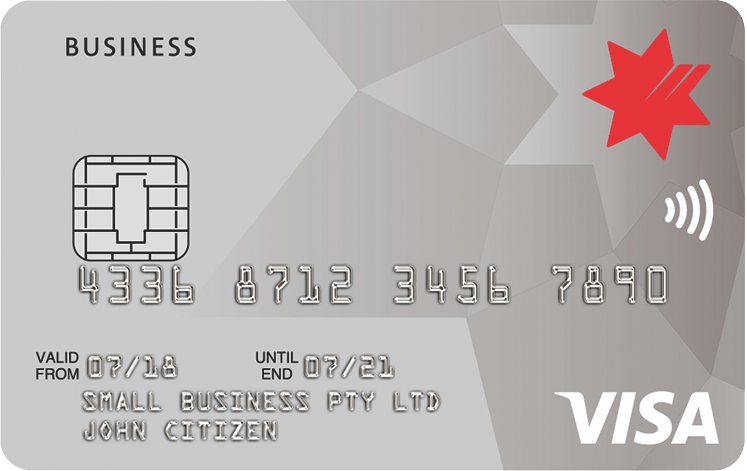 While this card has one of the lowest credit card interest rates in Australia, it is not the lowest. The ME frank Credit Card, Virgin Money Low Rate Credit Card, ING Direct Orange One Credit Card and Latitude Low Rate Mastercard may offer an even lower interest rate, but unlike the Coles card, none of these cards allows you to earn rewards points. Compare the features of competing cards on the ‘Low interest’ page in our Features section. Those likely to derive maximum benefit from the Coles Low Rate Mastercard will already be regular shoppers at Coles and its flybuys partner organisations. They don’t need to be high income earners, frequent flyers or big spenders to recognise the value in a straightforward loyalty discount, up to 55 interest-free days, a $100 ‘welcome aboard’ gift and a low purchase interest rate to make temporary financial difficulties more bearable. It was sold to me as a no-fee credit card. But it turns out there are fees. To set up a direct debit you have to send a physical letter – yes, I’m not kidding. It took them nearly three months to process my direct debit request. Once they did, the delay on the direct debit meant that we had already paid it off for the month but they withdrew money anyway, so the account ended up in credit. Day-to-day usage is fine, but their online services portal is extremely limited and any correspondence seems to require a physical letter. Bizarre! We ended up closing the account after we bought a house. We called up and made a payment to close the account off, and were assured that we had closed the account, all was good. Two weeks later, another direct debit of over $1800 was taken from our account. This happened two days after our baby was born so we didn’t notice the extra repayment until two and a half months later, and then only when we went back through our old transactions with Pocketbook (great product btw). Coles Mastercard didn’t notify us that they had taken an extra $1800 and it was sitting in a closed account (not earning anything for us, I might add). After finally getting past the automated voice and speaking to a human when we called up, we have been told we need to write yet another physical letter (paying for postage) to request a refund. It boils my blood that this can happen in this day and age. As far as I can tell, and from what I was told on the phone, this may happen to anyone who has a direct debit set up with this card, and who wants to close their account. The backward nature of this operation has cost me time, effort and money. I would not recommend it. I would say it’s a good service. Their zero interest promotion program is really good. I would say that it’s better than many. I recommended this card to my friends and they are happy as well. I just want to say that it has saved me money. Overall, it’s a really good service. The interest rate for this Coles card is bit higher than I would like. Furthermore, I have to pay nearly $150 per month for $6000, which is a high interest charge. Also it is annoying how the message pops up in the phone app, a courtesy message. Also, for the interest payment I keep getting phone calls, which is bit intimidating. I took the card as I was in need before, which was useful and I am always grateful to Coles. But there are certain things that bother me. This is an excellent card which I would strongly recommend, in all areas. Customer service is exceptional, with very little wait time on the phones. Fees are good and the card can be used almost anywhere, and unlike other banks’ cards I have been able to use this without any issues, which seem to be fairly common. There’s a great 18 months interest-free deal on purchases, with a low rate after the interest-free period finishes. The card can be linked to flybuys to gain flybuys points for every purchase, and you can use rewards instantly. The Coles MasterCard app gives you access to account information on the go. and is easy to use. Coles MasterCard is not bad. It helps me out when paying bills, etc, but the fee is a bit high for a pensioner like myself. I’m not really sure what the rewards are in this card. I think I get bonus flybuys or something, but i’m too old to understand all that! It’s a great idea if you only have a low credit limit. The best idea is to get card with a limit around $1000, pay $1000 in advance, then don’t let the balance get to $1000. You also receive flybuys points, which you redeem for flybuys money. Keep the card in credit and pay no interest. Win win. With this credit card, the annual fee is only $49 and with a low 9.99% p.a, on purchases, this is one of the best savings you can get with a credit card. As a student I was able to pay a large sum for my school fees and supplies and not have to worry about the added interest as the first 3 months were interest-free. It’s also linked to the flybuys loyalty program and has also offered an app in which you can make purchases from your phone and keep track of your spending. These are all such great added bonuses that you don’t often come across. Thank you Coles for your amazing loyalty. This card has been great, giving me personal loan rates on a credit card. There’s a great interest-free period on balance transfers and brilliant flybuys rewards. The app is really easy to use on your phone and you can check your balance anywhere. Love it. I would happily recommend it to anyone. My experience has been great so far. It’s easy to use in conjunction with flybuys and the customer service is excellent. The card application was fast and i received the card within three days of my application. Overall, I would recommend this card, especially because of the low fees attached to it. I would definitely recommend this to anyone who uses the Coles flybuys rewards card and wants a low interest credit card. It is good if you are wanting to earn extra points at Coles for more shopping. My recommendation is to review the situation and decide whether you will use the 'no annual fee’ card (1 point for $2) or the 'annual fee’ card (2 points for $1). If you do the maths it works out. No complaints at all. Good service is given and the whole application process was completed online. Interest rates are high, higher than most, but they give over 60 days interest free. It has a balance transfer option which I didn’t need. There are no annual fees or transaction fees, and it gives flybuys points for members. I have had my card for two years, and used it for all manner of purchases, as well as large cash withdrawals when traveling overseas. I’ve never had a problem with my card that hasn’t been fixed by friendly, trusting, helpful staff. I have only had one reason to find this out, when unfortunately, earlier this year, nearly $4,000 of video gaming equipment was purchased without my knowledge. Staff at the card hotline were able to reassure me promptly that they believed I wasn’t responsible for the unlawful purchases. They issued me with a new card and returned the money to my account, all within the space of a week. Now, that’s service! I’ve had no problems with this card. It’s great value. I used quite a bit of my balance in the first two days, and I received a call from the protection team to make sure that it was all legit. Customer service is great also, and extremely helpful. I would recommend this MasterCard. There are also a lot of perks if you have flybuys. I’ve found the Coles credit card that I have is the best thing I have ever had. I get great rewards with this one. The way you pay the bill is just a bit hard, as you can pay off more by going to the post office, but they only have one day paying over the phone and you have to wait until they process it before you pay more. The interest rates are high if you don’t pay on time, but I find it’s a great card to have. We use this card as a debit card—paying off everything we use when we use it—rather than a credit card. That way, we don’t pay interest on anything! There’s no annual fee and we earn extra flybuys points on everything we pay for. We just used our points for a holiday! Brilliant. The Coles Low Rate MasterCard is a credit card well-suited to low income people, families, or pensioners. Having this credit card gives me peace of mind knowing that I could use it for an emergency. It has also helped us manage a couple of larger bills and boosted our savings for a holiday. Monthly repayments are affordable and easy to manage, though you have to watch the fees when you use a cash advance. I have not had a credit card for more than twenty years and was surprised how easy it was to apply and be accepted. Is a good starting card with many benefits and without the hassle of the other cards. I would recommend it because of its its simple and user friendly services. Its a good card for anyone wanting a credit card with a reasonable credit limit. It was easy to apply for and I was approved online. Statements are also sent to my email account. This card earns flybuy points as you spend, which add up to more savings on weekly grocery bills. Coles are in contact with other offers during the month for extra flybuys points on certain purchases, including petrol. The Coles MasterCard is amazing. They have great service and always help me with any problems. They have always been willing to extend or upgrade my credit limit in an emergency. Also their monthly fees are very good. I would recommend the Coles MasterCard to my friends and family and I have done so in the last 6 months and I have had all 4 of them join up very fast. They are also happy with them. Coles gave me the opportunity to have a credit card when other banks knocked me back. The low rate is exceptional and the $25 annual fee affordable. Overall, it’s a card that can be easily managed and is excellent for emergencies. I have found it is accepted in all the stores I have visited. This is a card for everyone. Very happy with my Coles MasterCard. I pay it out every month, pay no interest, and get reward points. They have customer protection, which I have claimed against a couple of times with no issues. It’s great if you’re buying a mobile phone outright as you know it will be cheaper in six to twelve months, so you can get the latest now, wait for the price drop, and claim back the difference later. On the potentially negative side—which I avoid—is the relatively high interest rate, which is disgustingly high if you take a cash advance. Slow for payments to be authorised on the account – BPAY took a week to come through rather than 2 days as stated. Service could be better – a bit of “don’t really give a stuff” attitude from customer service personnel. If they speed up their processing of payments and improve customer service they would be an excellent company to deal with.